No matter how many times you’ve been to Spain, you’ll always find somewhere new to explore on Europe’s Iberian Peninsula. Famous for its laid-back culture, authentic cuisine, temperate climate and striking architecture, it’s no wonder the Spaniards welcomed over 82 million international visitors in 2017. From the hip buzz of Barcelona to the Mediterranean charm of Valencia, each Spanish city and Island offers a unique experience for its visitors. To help you choose your next Spanish destination, we’ve shed some light on 5 gems worth exploring in 2018. One of the world’s best culture hubs, Barcelona is bursting with colour, architecture masterpieces and amazing food. 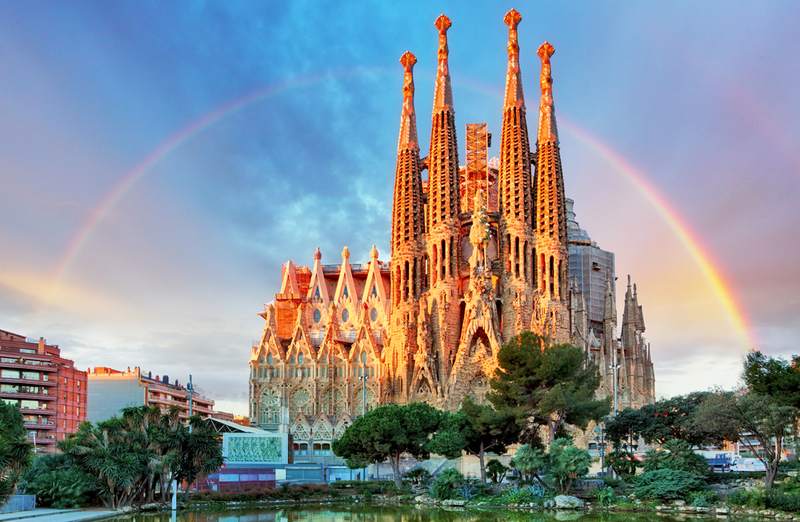 From the famous streets of Las Ramblas to the striking La Sagrada Familia temple, the Catalan capital oozes creativity. The nightlife is top notch too, with some of the best nightclubs like Opium and Pacha opening their doors until 6am! If you’re after some tasty food, don’t leave without trying the fresh seafood and tapas restaurants on every corner of the city. If you haven’t already been, add the Andalusian city of Granada to your travel wish list. In this ‘land of a thousand castles’, you’ll find traditional tapas bars, Islamic architecture and quirky street art. 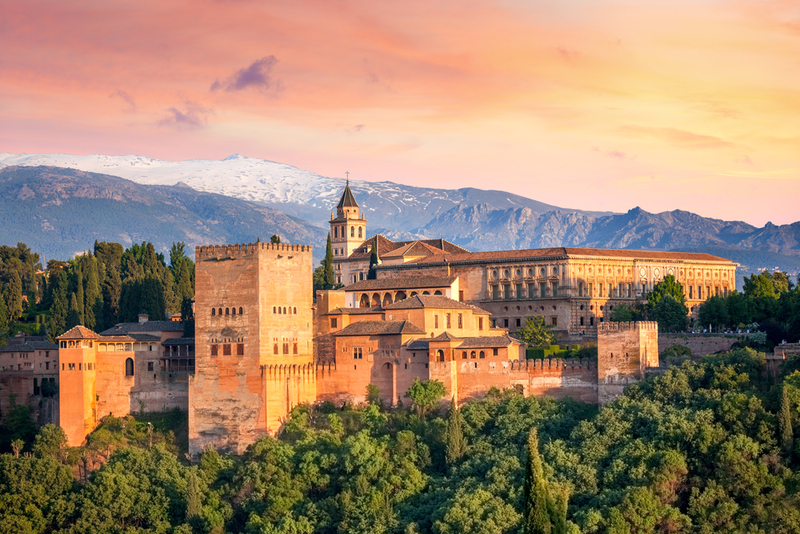 Located at the foot of the Sierra Nevada mountains, Granada boasts tranquil Mediterranean shores and is home to the spectacular international attraction, Alhambra Palace. Besides its spectacular hill top location, the immaculate gardens and impressive monuments will take your breath away. 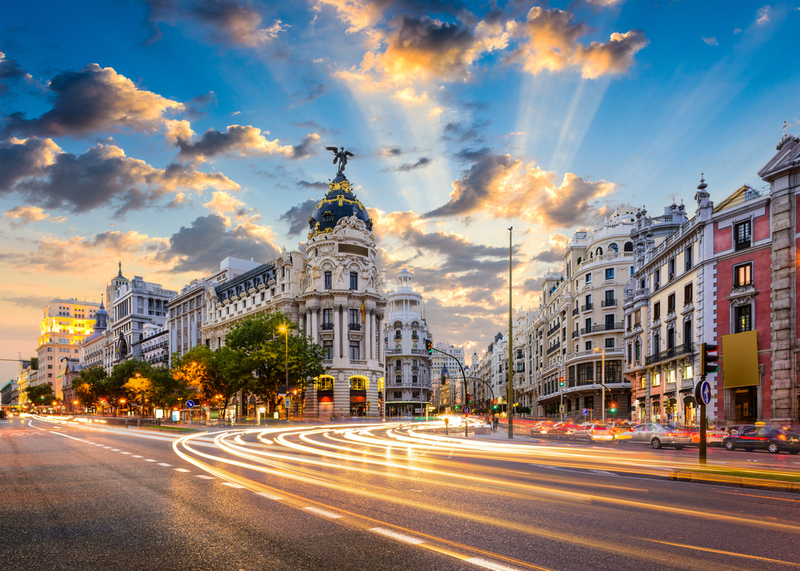 One of Europe’s sunniest capitals, Madrid is the hub of all things fashion, food and nightlife. Despite its modern infrastructure, the city has conserved much of its traditional Spanish streets and authentic feel. Much like Barcelona, Madrid truly comes alive at night, making it the perfect place to sip sangria and sample some traditional tapas into the ‘wee hours’. For some sightseeing, stroll along the winding streets of the main square ‘Plaza Mayor’ where you’ll find San Pedro, a small medieval church and Basilica of San Francisco el Grande. Spain’s third largest city, Valencia is overflowing with Mediterranean charm. With a thriving restaurant scene, miles of golden shoreline, multitude of museums and a vibrant nightlife, there’s a wealth of things to do and see. Home to the renowned Spanish dish Paella, you won’t be disappointed with the Valencia cuisine either. Make sure to pay Barrio del Carmen a visit too, where the shaded alleys and medieval streets are alive with hip boutiques and bohemian bars. Whether you fancy a party week in Ibiza or experience the volcanic heat of the Canaries, Spain is home to some of the most beautiful islands. Fancy somewhere peaceful? 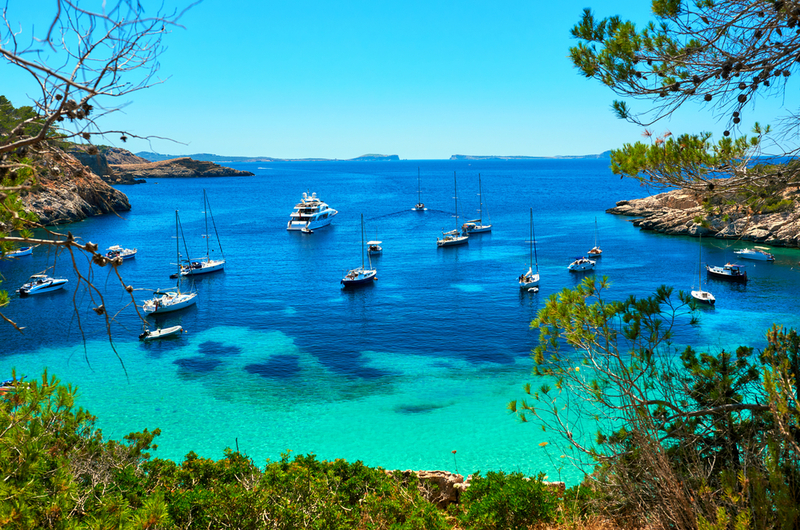 The idyllic blue waters and tranquil beaches of Menorca offers the perfect relaxation getaway. For year-round sunshine, the largest of the Canary Islands, Tenerife guarantees a lively buzz with lots to do for families, couples and mature visitors. If you’re the adventurous type, Fuerteventura is the ultimate destination, offering fun filled activities including jeep safaris, wind surfing and mountain biking. 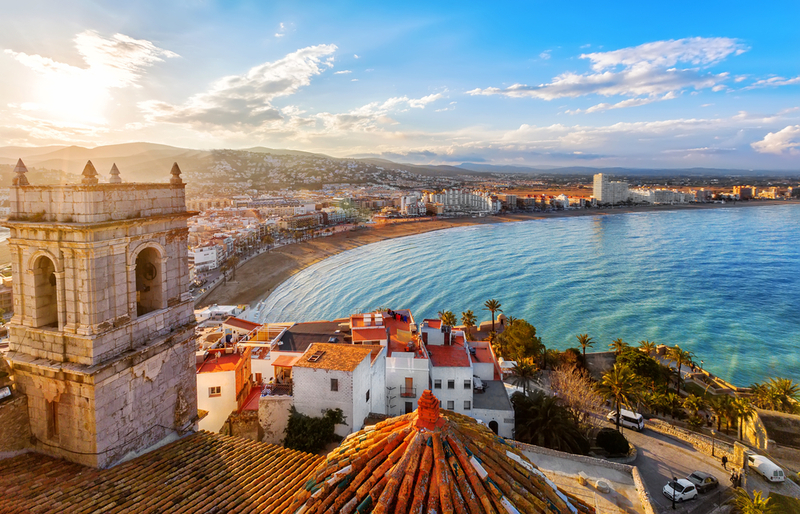 For most of us, one trip to Spain is never enough! Feeling tempted to uncover more of Spain’s charm? With a host of flights available from Belfast, it’s time to get planning your next holiday!